City Developments building and Lau Pa Sat food court in Singapore’s central business district (CBD). City Developments reported on Thursday that its net profit for the third quarter rose 10.4 percent on-year to S$161.8 million on strong contributions from property development in Singapore, China and Japan. Revenue for the quarter ended 30 September rose 17.7 percent on-year to S$1.02 billion, it said in a filing to SGX after the market close on Thursday. 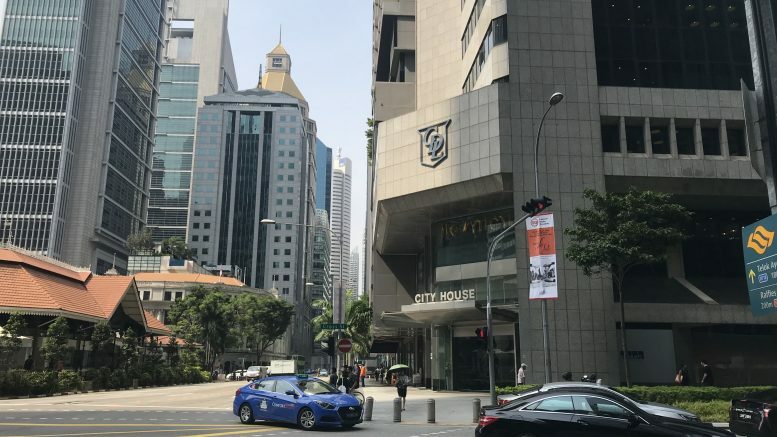 “In Singapore, New Futura and The Tapestry which were both launched in the first quarter of 2018 have sold well while revenue was further propelled by the full recognition of The Criterion Executive Condominium (EC) which obtained its Temporary Occupation Permit in the first quarter of 2018,” City Developments said. In the nine-month period, Singapore projects continued to see sales with sustained projects, with the company and its joint venture associates selling 787 units with a total sales value of S$1.56 billion, although that was down from the year-ago period, when 1,056 units with a sales value of S$1.76 billion were sold, it said. It said 84 percent of the 124-unit New Futura condo has sold, with an average selling price of more than S$3,500 a square foot. “For the overseas market, Phase 2 of Hong Leong City Center (HLCC) in Suzhou, China and Park Court Aoyama The Tower in Tokyo, Japan were completed in the first half of 2018 and revenues were recognised upon progressive handover of units to buyers,” it said. But it noted that the hotel operations remained mixed. The 65.2 percent-owned Millennium & Copthorne Hotels was impacted by the full closure of Millennium Hotel London Mayfair in July for refurbishment works while continuing to incur certain fixed costs, it said. Net profit for M&C fell 47.8 percent on-year in the nine months to 30 September to 48 million British pounds, while revenue declined 2.4 percent to 730 million pounds, it said.